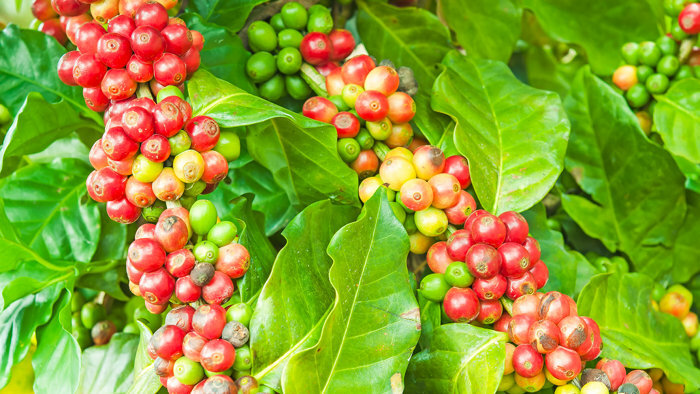 Gourmet coffees grown in places like, Jamaican, Tanzanian, Costa Rica, Colombia offered by Gavian, Green Mountain and other fine retailers alike, recognize Kona for growing some of the finest coffee in the WORLD! Here is why Kona coffee consistently ranks as one of the world's premier gourmet coffee. The Kona Coffee Belt is blessed with volcanic soil, climate, arabica coffee plants and people who have a passion for coffee. 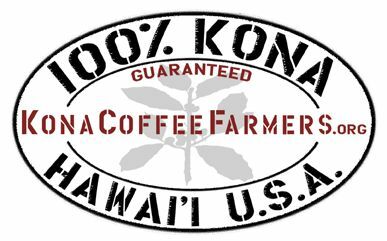 From farming to processing, everything comes together to create the world-renowned Kona Coffee and now "KonaDecaf Coffee Co."
1. Superior plants. There are many types of coffee plants. The most commonly found are arabica and robusta. Arabica is far superior in taste to robusta coffee. Over the years the Kona typica has been propagated as a varietal of coffee. A smooth, low acid coffee--the Kona coffee that is known throughout the world..
2. Unique growing conditions. Grown on the slopes of Mauna Loa and Hualalai volcanoes on Hawai'i Island (the "Big Island") our coffee plants receive the perfect combination of sunshine in the morning, cloudy conditions and rain in the afternoon. With gentle winds and volcanic soil, Kona coffee thrives in this unique environment. The character of the fruit is derived from the aina, (land), not duplicated anywhere else in the world. 3. Hand picking. Each "cherry" the red coffee fruit is hand picked. The unripe green and yellow fruit is left on the trees until ripe. Each coffee farm will pick there trees several times in the harvest season, which runs from August to February. 4. Wet processing, After picking, the pulp or skin is removed and the beans are then placed in water for fermentation. This method is the known as the "water process". After fermentation, the parchment (secondary skin) is washed then air-dried to a specific moisture content (9-12%). The remaining moisture is important, this is where your oils and flavors come from. Next, "dry milling'" the coffee beans are hulled to remove the parchment skin, then separated by size and weight for quality control. We could now do the natural CO2 decaffeination process. Decaffeinated or not, it can now be roasted..
5. Roasting, The final processing stage, some may argue the most important aspect of the whole coffee industry. The type of coffee, is it blended or of single origin. All of the above considered, roasting brings out the aroma and the anticipated first sip we so look forward to each morning. Roasting brings the coffee to life! Hawai'i coffee farmers take much pride in being part of this historic coffee industry. The original coffee grown in the USA is considered some of the world finest.